(3) Can the Marine Corps monitor the internet for such behavior or is it an “unreasonable search”? (4) Recruit Training: where is the Marine Corps relative to gender integration at MCRD? (6) Can the “OCS” model (female platoons in male companies) work for all recruits at Parris Island? (7) DISCIPLINE. Privacy in the BEQ is an issue the Marine Corps struggles with; does living like civilians in a dormitory contribute to the feeling that Marines are still mostly civilians and therefore civilian behavioral standards apply? 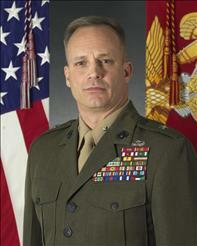 A candid interview with the second Marine General Officer to speak at length on the issue.